Watching the tides ebb and flow from the fabulously comfy couch. Some spare capsules for the coffee machine wouldn't have gone astray. The NSW south coast has a well-deserved reputation for good beaches and laid-back towns, which can sometimes teeter onto the wrong side of comatose. But Culburra Beach, two-and-a-half hours from Sydney, is a lovely little gem, with a small strip of shops and wide, sweeping streets. It's not terribly chic but Culburra House is proof that you can have your cronut and eat it too. 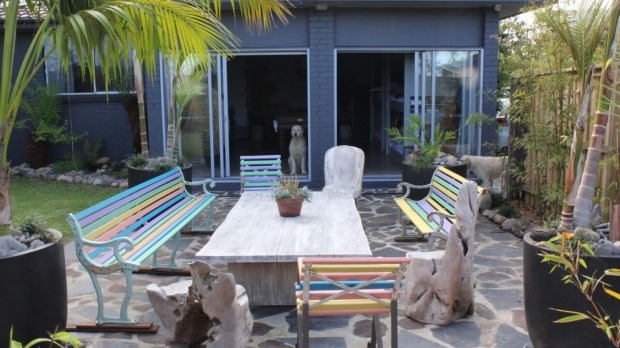 The beachfront house, which won the 2015 Stayz Award for best pet-friendly property, is plush but comfortable and in an unbeatable location – especially as it's tucked into a cove to protect it from the wind. The postcard-perfect view slaps you in the face from the front door. There's a short track down to the sand but it was hard to leave that sight of the sea and surrounding mountains. Owner and interior designer Debra Cronin has found that sweet spot between luxury and comfort. The kitchen is well-equipped, while the airy living room features a large open fire and custom-made wood furniture. The house is delightfully eclectic, from the triple-decker bunk beds and hat-wearing moose head in the games room, to the big bathtub that had to be brought in by a crane. Beyond the back deck is another lounge area with ocean views and a fire pit. The front bedroom is cosy and stylish. Vintage timber shutters line the wall behind the king-size bed, alongside mismatched portraits and landscapes. The furnishings have a slightly rustic feel, from the tree-branch bedside tables to the old wooden wardrobe. 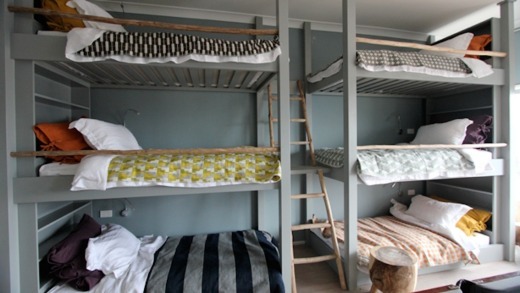 The bed is big and comfortable, with good quality linen sheets and woollen blankets. All the bedrooms are positioned away from the ocean but have a welcoming mellow mood. There's no view to speak of from the bed but we didn't mind taking a break from the beach – at least while the sun was down. Culburra boasts the south coast's most discrete Woolworths – so well hidden behind the main street that we needed directions. But you're better off stopping en route at Nowra Fresh, which has great service and a super selection of fruit and vegetables, seafood and steak - plus dog bones. From there we took a detour through the farming area of Terara for a carton of free-range eggs. Closer to Culburra the understated Orient Point Bakehouse is a family-run restaurant with locally-sourced fare. Chef Scott Mason, formerly of Bistro Moncur, works wonders with a short and straightforward menu. When the view's this good it's sorely tempting to stay in. But I forced myself to jog the length of the dog-friendly beach, which stretches more than three kilometres to the mouth of the Crookhaven River. A bush track leads on to the lighthouse, where I spotted several whales messing about in the waves (wonderful) and a fat black snake (not so wonderful). A short drive to Greenwell Point leads to Jim Wild's Oyster Service, where Jim's wife Robyn is happy to prepare a dozen fresh Pacific oysters, while showing off Jim's 1984 world champion shucking trophy. Luxurious but relaxed, with an outstanding ocean view, Culburra House is just about everything you might want in a modern beach house. 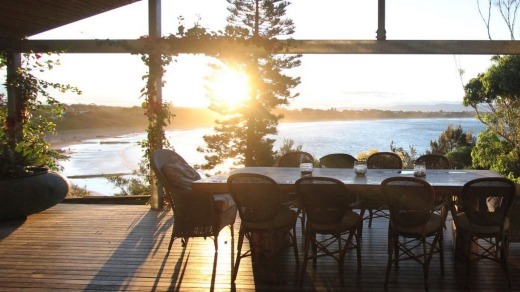 208 Penguins Head Road, Culburra Beach, NSW. From $1200 for three nights mid-week or from $1900 for two nights on weekends. Phone 0410 696 467, see stayz.com.au/134934 or www.culburrahouse.com. The writer was a guest of Culburra House and Stayz.